Wreck Beach Day is postponed to July 18(Sat.)!! | Welcome to Wreck Beach! 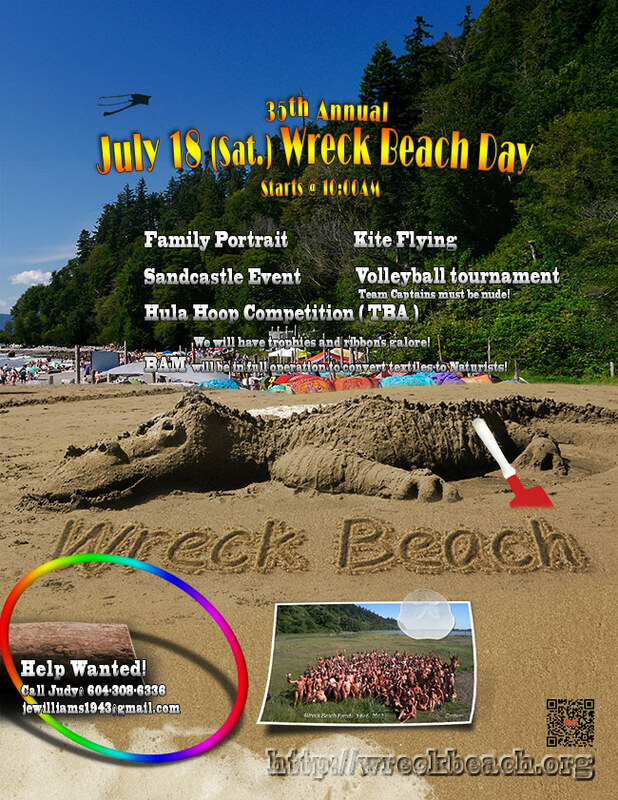 Wreck Beach Day is postponed to July 18(Sat.)!! We still need volunteers for the day to help us! To people who tried to contact to Judy Williams…. We apologize about the slow reply due to her computer problems and was not able to read any Emails. We deeply apologize about the situation. Have a good weekend and see you guys next weekend!